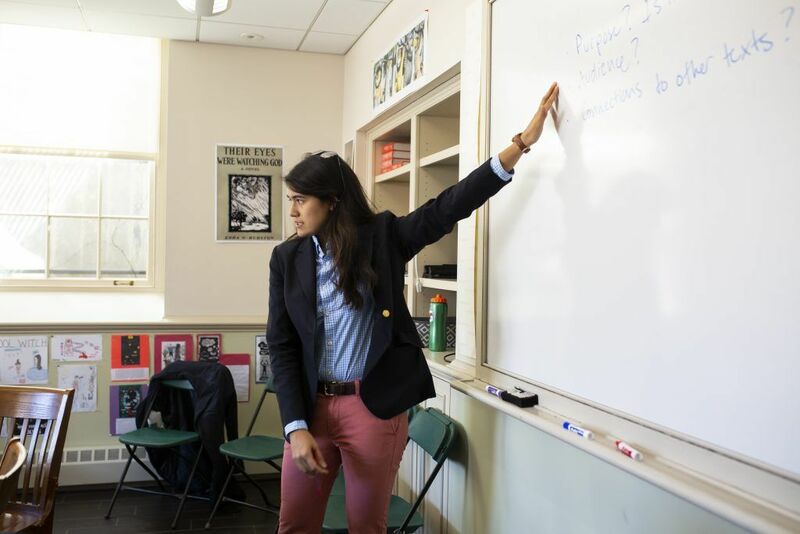 Anna Gonzales teaches ninth-grade English along with a year-long American literature course for juniors, focused on texts written by Black American authors. She also teaches a spring elective introducing students to the tools of digital humanities. She serves as the head coach for girls' JV squash and girls' JV tennis, and lives on Mac II. She also helps to compile the English department's annual journal of exceptional student work, the Little Brown House Review. She previously assistant-coached girls' thirds soccer and girls' JV basketball, advised the Scroll, and served as an associate in John Louis dormitory. In the summers, Anna works with the KIPP-STEP program on Deerfield's campus. In 2018, Anna finished her master’s degree in education from the University of Pennsylvania through the Penn Residency Master’s in Teaching program. She completed a thesis on the benefits of reflection in the classroom. Anna graduated from Swarthmore College in 2016 with highest honors in English literature and gender & sexuality studies, and as a member of Phi Beta Kappa. At Swarthmore, she worked on the college newspaper and long-form magazine, captained the rugby team, facilitated consent and healthy relationship workshops, and interviewed applicants as a member of the Admissions Office. Anna’s academic interests include Victorian literature, Shakespeare’s plays, 20th-century African-American literature, the digital humanities, and the intersections of gender, sexuality, race, class, and power. Anna is originally from Denver, Colorado and enjoys skiing, cycling, and running. 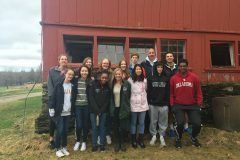 In 2012, she graduated from Deerfield, where she particularly enjoyed English and history classes, working on the Scroll and Albany Road, and competing on the field hockey, ski racing, and cycling teams.